Looking for someone to dog sit 1 male well behaved Bichon. Come to our home to Walk and feed while we are on vacation.Looking for someone to dog sit 1 male well behaved Bichon. Come to our home to Walk and feed while we are on vacation.Looking for someone to dog sit 1 male well behaved Bichon. Come to our home to Walk and feed while we are on vacation. 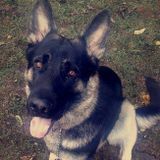 At PetSitter.com our goal is to connect job seekers to our community of pet owners in Findlay, Ohio looking for dog walking services. Our job board gives you instant access to the largest database of local dog walking jobs available in North America.